No matter who you are or where you come from, there are seven steps that can always lead you to success. No special connections and no entitlements necessary—just follow these steps consistently and reap the rewards. 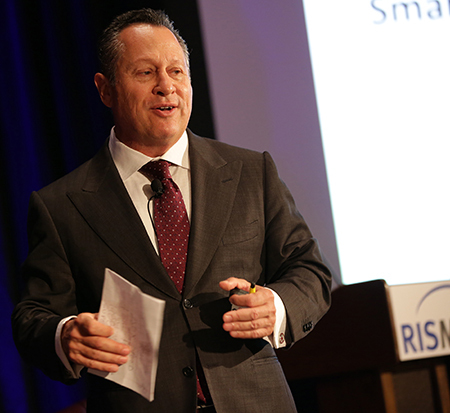 This was the powerful message HSF Affiliates CEO Gino Blefari shared with the audience of some 250 power brokers and industry leaders during his opening address on Day 2 of RISMedia’s Real Estate CEO Exchange, held at the Harvard Club New York City last week. 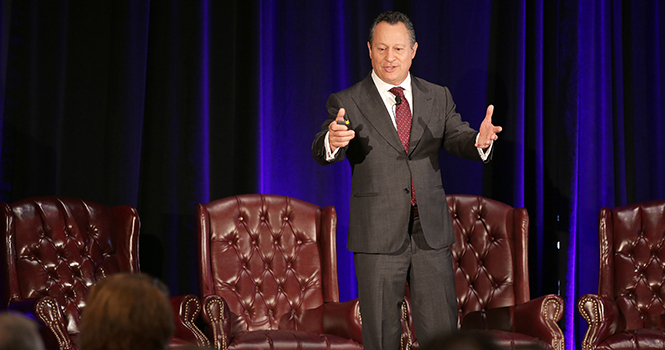 Blefari developed the seven principles based on his personal journey to success. Relating the story of his modest upbringing in a working-class Italian family, Blefari shared how a nascent work ethic drove him to water lawns at the age of 15, put himself through San Jose State University by working at a local golf club, and then become the course superintendent and bar manager upon graduation. It was this drive and focus that helped launch Blefari’s storied real estate career, including his development of Contempo Real Estate, its sale to Realogy, his position with NRT, his founding of Intero Real Estate and finally, his current status as CEO of HSF Affiliates LLC. During his presentation, Blefari also emphasized the importance of having a well-defined management and leadership philosophy that challenges everyone to succeed and grow. “The challenge creates the muscle—mental, vocal and physical,” he explained. Focus on wildly important goals (WIGs). Blefari advises focusing on 2-3 WIGs at a time, and to create a distinct finish line for reaching each goal. Act on the lead measures as opposed to lag measure. “We tend to focus on lag measures, such as how many sales we made last month. But you can’t do anything about that. Lead measures are predictive and influenceable—‘if you do this performance, you’ll get this result’,” he explained. Create a cadence of accountability. Blefari religiously hosts a once-per-week call where the team reports on accomplishments and challenges. “Have it the same time, the same day every week,” he advised. Blefari closed out the session by encouraging the audience to stick with the seven principles for success—especially if there’s a market change—and to never lose touch with our roots.